My sons love Halloween, creating a totally new look for our home indoors and out has become a fun family tradition. 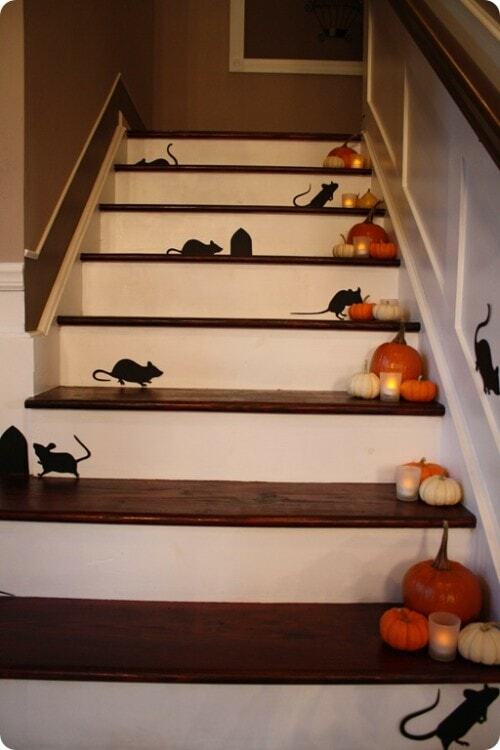 I am sharing a few ideas today on how to decorate for Halloween without breaking the bank. I am always on the lookout for cheap basics ribbons with wiring built-in to decorate for holidays as it can spice up just about any simple thing in the house. For example black ribbon with white polka dots, orange and black mesh ribbon for decorating banisters, lighting and garlands. Candy corns in jars and bowls, simple tiny pumpkins and a dollar store back of spiders. It does not cost a bundle and the children have the best time making the house ” not so scary” spooky. You can distress an old white or black table-cloth or sheet and use it to cover a sitting chair or table. These items are great to collect because they back flat, much like that spooky gauze you can buy at the store. 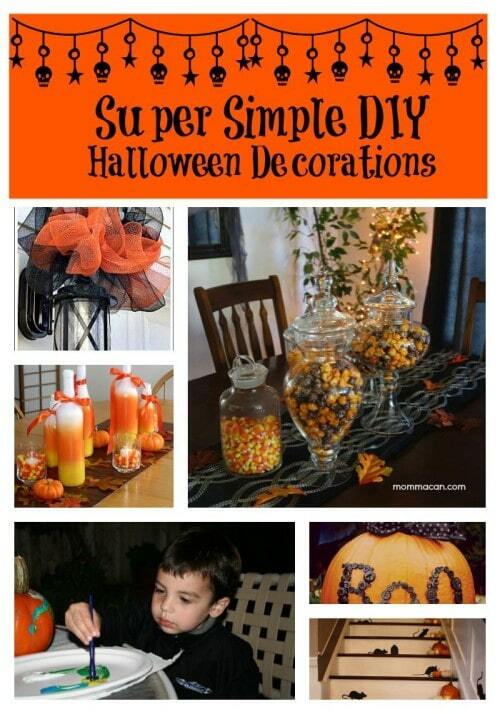 In a nutshell, use what you have on hand and add some fun fall colors! Don’t spend tons of money! It’s the laughter and silliness of the holiday that your children will remember! 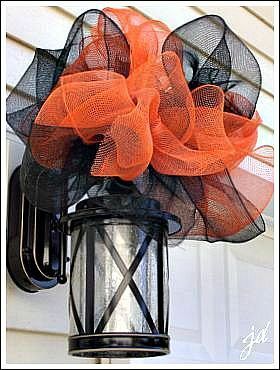 Simple black and orange mess bow on this outdoor fixture. Love it! This mesh is awesome to use on many items in your home, I love using it in garlands which will be our new Halloween project this year! I really enjoyed the need finds on Jenny Decorates, take a look. I really want to hang a set of these in our tree this year. How cute are they1 And the roundish eyes make them a bit less spooky for the younger ghouls and ghosts who will be ringing your doorbell this Halloween or visiting your Pumpkin Carving Party! 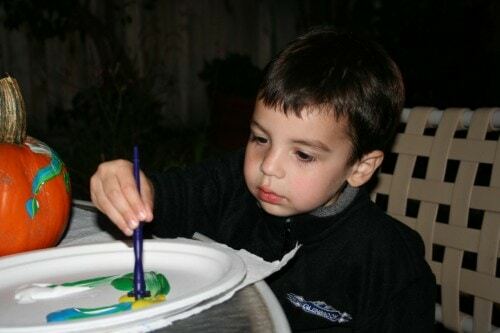 Click here to find out the HOW- TO’s of this project. 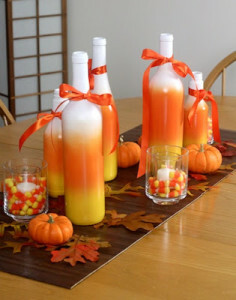 I adore all things candy corn and this tablescape is so cheerful! You can use this glass spraying technique on many other things than jars and bottles. Check out the post here- Ashbee Design I am so making a set of these jars this year for the window shelf! How adorable is this pumpkin? Simple buttons and bows idea is just too cute, the only things missing from this photos is an adorable baby dressed in a cute Halloween outfit. Here she is! LOL! This cutie pie is in a my First Halloween candy corn tutu costume – super cuteness. And here is my tablescape from last year. 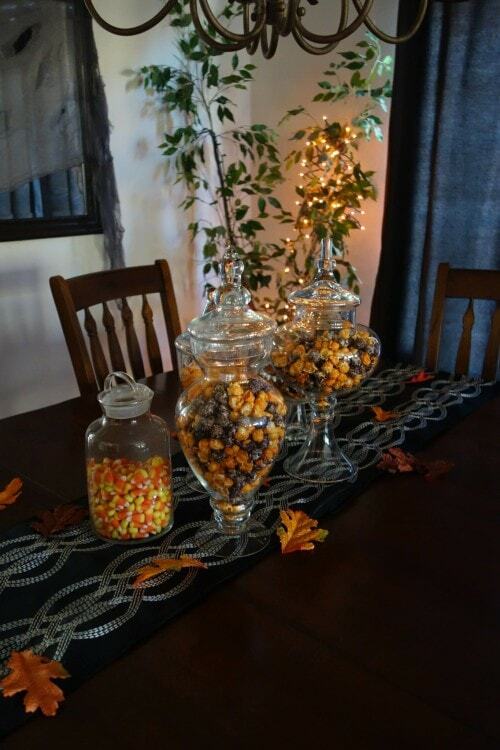 These are Home Goods finds, apothecary jars filled with candy corn, and Halloween Kettle Corn. I have used these jars a dozen times and each time I do some thing new. I love clear glass jars for decorating! Simple, elegant and fun these jars are budget friendly and can be used year-round. Well, here we are at the end. 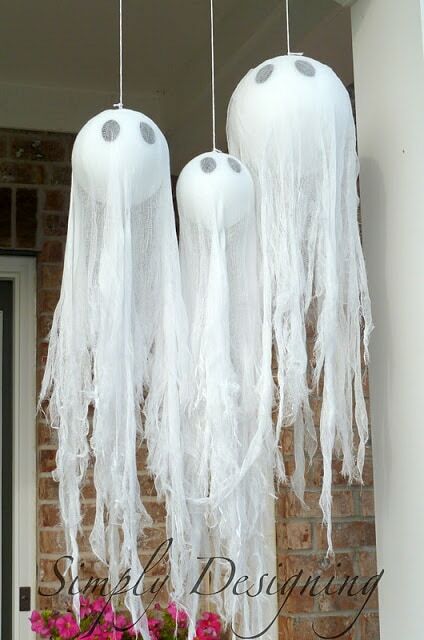 Do you have a simple Halloween Decorating post or idea? Please let me know and I can share it on our Facebook page or crate another link-up post before the big holiday.